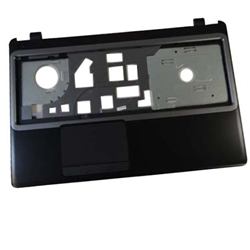 Description: New genuine Gateway laptop upper case palmrest. This upper case includes the touchpad. There may be more than 1 palmrest for the models listed. Please check the part #'s and pictures carefully to make sure that you are purchasing the correct one. Compatible Part #'s: 60.Y46N2.001, FA0VS000201.